I read a description today of an ‘Eero Saarinen tulip base dining table with white marble top’ in an article about decorating. Well. 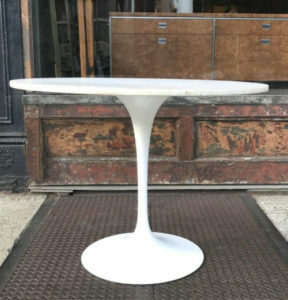 Let’s find out what this table looks like, I thought. (Redeem myself a little from the cheap Ikea furniture I still have, by improving my designer furniture knowledge). Saarinen (1910-1961) was a Finnish American architect and industrial designer, noted for his neo-futuristic style. I also learned that Saarinen was the architect of the Gateway Arch in St Louis. I took this picture of the Arch in St Louis in Oct ’96. (I lived in St Louis from ’95 to ’98). 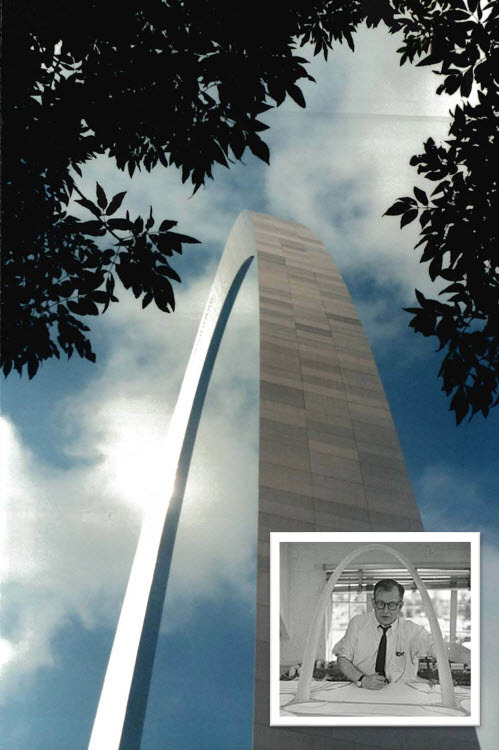 Inset: Saarinen with a model of the Arch in 1957. Construction started in 1963. Sadly, Saarinen never saw the completed Arch. He passed away in 1961, during an operation for a brain tumor.